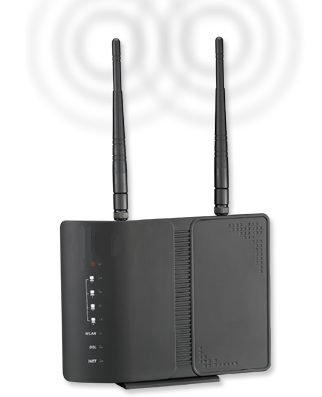 Ultra-high Data Rate at Up to 100Mbps With up to 100Mbps* for downstream and 50Mbps for upstream bandwidths, the DCE 5204AV-NRD offers higher data transfer rates and provides higher Bandwidth than traditional ADSL gateways. A higher bandwidth allows small to medium users to enjoy quality symmetric and asymmetric applications and home users can enjoy smooth media-rich entertainment which was previously unavailable. Advanced QoS Triple Play Services The inherent advanced QoS features of VDSL makes 5204AV-NRD to be an idea access modem for service provider to deliver “triple play” multimedia such as high-quality digital video streams, high-speed Internet access, and voice services which are competitive to the service provided by cable and satellite operators. Besides, with Triple Play QoS, end users can enjoy the video-on-demand, on-line gaming, and E-learning with high-quality performance in the household. Operate Over Existing Copper Wire Telecom carriers can generate revenues by offering bundled services to successfully compete with what cable operators have to offer. A single network can be maintained to provide complete DSL services with minimal installation time and expense. Co-exist with POTS, ISDN and Digital Phone Services VDSL2 can be implemented quickly, even if there is only one phone line. You can still keep existing POTS or ISDN service while adding new VDSL services.